As a gay man who identifies as cisgender I remember growing up and going through school being bullied due to my perceived sexuality. I struggled, I dreaded getting on the bus knowing the endless taunts and abuse would start as soon as I arrived at the bus stop, even outside of school. It never ended and culminated in 2 suicide attempts, which thankfully failed. 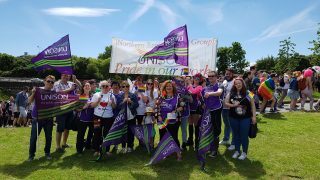 Leaving school was one of the best days of my life As I’ve grown up and realised I was indeed gay I have become more accepting of my true self and the more active I’ve become in UNISON has given me A drive to study our communities history, and one thing stands out from the crowds, the role Trans people have played in our fight for equality. Its up there with the likes of black civil rights leaders and suffragettes, yet we barely here their names spoken, why? Section 28, the damaging law that banned ‘gay propaganda’ in the education system, who stood by the Lesbian and gay community fighting against what essentially was erasure our existence? The trans community! During the HIV crisis. Who stood by the gay community, consoling, supporting and defending us from the barrage of ridicule and hatred? The trans community. So why now are we as a community allowing our trans siblings to face daily hostility, oppression hatred and discrimination? Why are we allowing actions from anti trans activist to go unchallenged? Why are we not standing shoulder to shoulder with them as they did us? Within UNISON, we maybe heading in the right direction, but in wider society however, we are not. And sadly this includes from within our very own community, a safe space we have created for all yet we allow discrimination to fester! My experiences early in life have taught me a valuable lesson, you should never be afraid to be who you truly are, you should never be afraid to embrace your sexuality or gender identity, you should never be afraid to exist. You are worth it and you are loved, I Had it somewhat easy, I will use my experiences to ensure trans people feel welcomed wherever I am and I am fully committed to standing up for the rights of trans people. Are you? 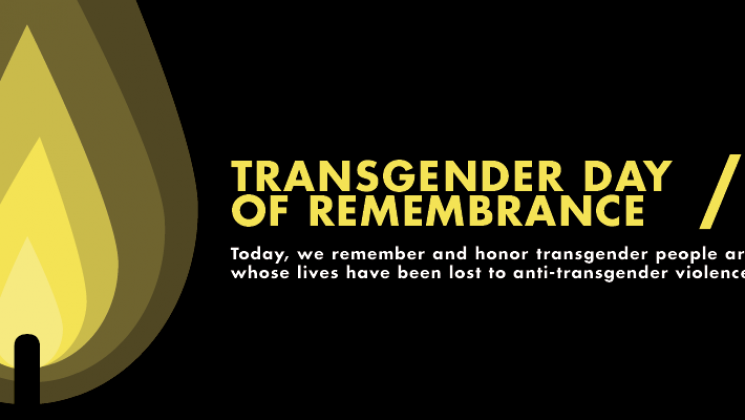 On Trans Day of Remembrance this year we remember 369 trans and gender diverse people killed this year alone, that’s 1 a day, simply for being who they truly are. Whilst we remember those who have sadly been killed we as LGB people need to pledge. Pledge to be a strong trans ally, pledge to help protect our trans siblings, protect them from hate, bigotry, oppression and fight for their rights to exist, just like they fought for ours, and show them love and support, because trans rights are human rights there are no half measure. Trans woman are woman, trans men are men and non binary identities are valid. So I ask you. What will you do this year to support trans people?